The missing ingredient is greater public awareness to the chronic lack of adequate research funding for pediatric cancers, most of which are deadly, marginalized as rare, and devoid of solutions. Thank you for considering this and the attached information being distributed among all members of the House of Representatives. Your position on the Committee, and consideration of support for this Resolution is crucial to a five year struggle for recognition and movement out of Committee, and decades of suffering gone unnoticed, desperately seeking the light of day. Those of us who are committed to advocating for children with brain cancer, the leading cause of death in children with cancer, and DIPG, the deadliest of all, we are speaking for those who either cannot, or for children who will never have the opportunity because they invariably lost their lives. Our request for consideration of H. Res. 114 in no way diminishes our appreciation for STAR, Race, Creating Hope, and Gabriella Miller Kids First, for which members of our DIPG Advocacy Group have actively advocated along with the larger childhood cancer groups. Still, the fight for allocations for instated laws, and re-approvals, continues. The auspicious SOTU announcement for childhood cancer and the Presidential Initiative gives absolutely no guarantees amid the proposed budget cuts to the NCI, potentially rendering it insignificant. The missing ingredient is greater public awareness to the chronic lack of adequate research funding for pediatric cancers, most of which are deadly, marginalized as rare, and devoid of solutions. H. Res. 114 is a plea to Congress for help; our population is downtrodden, bereaved, yet determined to fight for children yet to be diagnosed to have the chance to go to school, find love, live to and through adulthood. There is no transparency with regard to the decision-making concerning research funding with our tax-dollars devoted to cancer research. It is apparent to us that the urgency of certain death, and years of life potentially lost, are nowhere in the equation. Routinely, parents hear they must “go make your child comfortable and make memories”…why? Because, “the numbers aren’t great enough for investors,” we hear, in the richest and most technologically advanced country in the world. Adequate support for pediatric cancer should be a no-brainer. Out of sight and out of mind, the suffering and the tragedy continues, exemplified in a most horrific way by the experience of DIPG, which, out of the blue, robs the child of the use of their body until finally respiration ceases, while they retain full cognitive awareness of what’s happening to them. 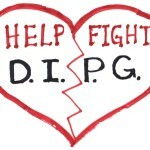 Thank you for considering the importance of the DIPG Awareness Resolution, and designated day May 17, with a renewed spirit of democratic intention. 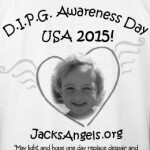 In 2018, 31 States had a DIPG Awareness Day May 17, with more poised for this year. Where parent-led foundations are saddled with the burden of funding the research, this awareness would help immensely and also alert the larger philanthropic community. We deeply appreciate your consideration on behalf of the children we are losing daily to DIPG, and, with your assistance, the new possibility of hope you might bring to those currently fighting for their lives. DIPG, House of Representatives, Moonshot4Kids, pediatric brain cancer. Bookmark.